The Easel.ly website features an easy to follow guide on how to create content on their platform. The platform makes it easy to create custom infographics without any design experience. 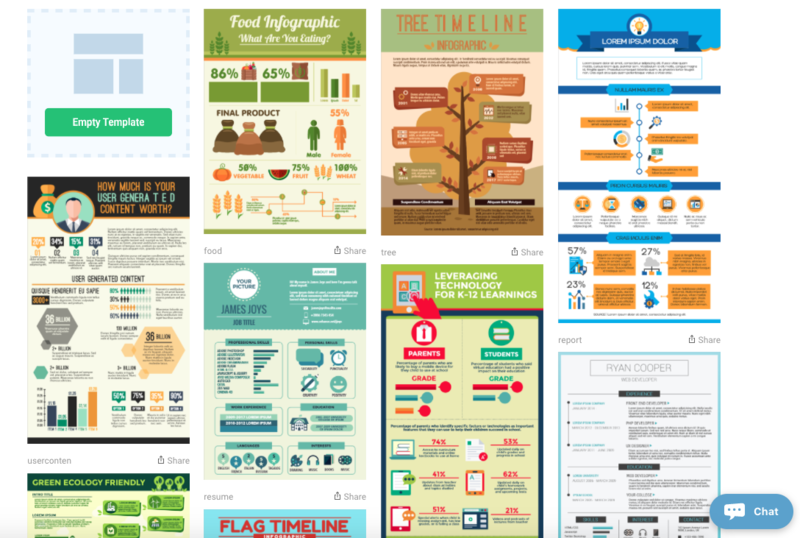 In addition to infographics, they have other design templates as well. You can build the right image for whatever you’re trying to illustrate. The platform allows you to fully customize every element of each infographic you create. But their infographic building tools are just as good, if not better. Once your image is uploaded, you can select a font from over 130 options. Creately Creately is a platform specializing in creating unique diagrams for your business. Even if you don’t want to publish your diagrams, you can use the tool for in-house projects such as building a customer journey map. You can use customized fonts and templates to create these unique images.